Within communications in international projects, one often overlooked facet which can be easily addressed, requires complex and committed effort and can cause substantial damage if handled badly is the management of communication silos and other barriers affecting communications between the various international parties. One of the biggest influences on a project’s ability to develop and maintain an effective inter-office and international dialogue is the project manager’s ability to remove, or at least minimise the tendency for these communication silos to develop within the project, and when they do develop, to identify them and do as much as possible to remove their influence on the project. Parochialism, where one or several offices becomes defensive of its position and constructs barriers to keep work for themselves. Xenophobia, where some offices or influential individuals do not trust the other offices, and try to ostracise or marginalise them. Professional distrust, where personnel in one part of the project do not believe the personnel in another location have the right skills, the right experience and/or the right motivation to do what they believe is needed for the project to be a success. Language and culture, where personnel in one area of the project simply do not understand what the others are trying to tell them, or how they are doing their work, and where they are often reluctant to try to build the required understanding. Power, where some personnel in the project want to develop or keep power for themselves and follow the mantra of “knowledge is power” keeping the key information for themselves, often to the detriment of the entire project. Usually, when discussing communication silos its the vertical silo’s which come to mind, towers of isolation that keep one location separate from another. However, it is also important to recognise that horizontal silos can form within projects and organisations. These horizontal communication silos occur when personnel at any level such as managers, technical delivery personnel or other organisational strata discuss things between themselves and make decisions which will impact the overall project, without considering or communicating the basis of the discussions and the decisions made to their colleagues, reports and management. These horizontal communication silos can also form from the bottom up, with project team members making decisions or adopting practices which they keep to themselves. This leads to the formation of a barrier layer between them and their managers, where the managers are not aware of the activities or “in talk” happening amongst the workforce. Essentially the project or business becomes stratified, with the barriers between the horizontal layers as hard to penetrate as any vertical silo will ever be. These barriers are often less visible to the participants within each strata as the individuals tend to focus on the issues at their level and assume everyone else has a full understanding of the situation. So, how can you keep the lines of communication open in the face of all of these barriers? Firstly, lead by example… Whether you are the manager of the project or simply a team member, you need to try to avoid communication silos developing within your area of control. If you are the project manager, you will be the one your personnel will be most likely to emulate, if you have your own communication silos, whether vertical or horizontal, they will feel that they have tacit endorsement to follow suit and will develop their own. Secondly, watch out for the development of silo’s, if you see them developing, break them down. There are many ways you can watch out for communication silos, the simplest and often most effective is simply by being out there with your people at every opportunity, observe how they interact and, where appropriate, guide and coach them to do the right thing. Thirdly, reward positive behaviour. 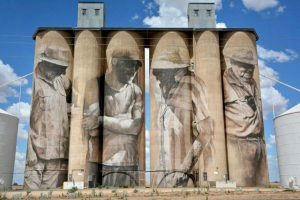 If you see a part of your project where communication silos are being removed or avoided, recognise this through public accolades that are appropriate to both the local and project cultures. Remember, rewarding positives is much more effective than punishing bad behaviour. Do you have any experiences with overcoming communication silos within a virtual team environment you would like to share? If so, we would love to hear from you.